If there is one positive point I can take away from this series it would have to be character: Nike and more importantly, her distinctive personality. Being far removed from the spoiled princess archetype, she is genuinely entertaining to watch, something I can’t attribute to many shoujou heroines. Spunky, full of attitude, and despite compared to her much more attractive sisters, no slouch the look department herself, Nike in actions and words is nice blend of femininity and strength that don’t get brought out in most series. Of course, instead of being made by design that way, she does make a nice foil for her betrothed Livius Ifrikia, ruler of the Sun Kingdom that is child, but much more of an adult and competent king. While I am a lover of the “opposites attract” trope, Nike’s headstrong behavior clashing with Livius and his cold-hearted and brazen perspective, the latter doesn’t make for a good leading male role just due to the inflexibility. Yes, Livius and his relationship with Nike does slowly evolve over the course of the series, but even in future episodes, his character personality just displays so many inconsistencies that is both frustrating and does present slight problems for other factors of the series. Despite the heap of writing done to humanize the brash persona and shed some light on why Livius acts the way he does (which is perfectly valid), it still fails to make him personable or sympathetic toward unlike that of Nike when she does face her own obstacles and in reality, has to look out for him more than her own well being. In other words, Livius is not a complex character, but he is a wounded one. The only problem is that the viewer doesn’t really get to see enough of his wounds and the severity to develop an empathetic link. That point aside, the narrative structure does have it own shortcomings from a technical standpoint, episodes often feeling too rushed or too slow, but surprisingly, didn’t really mind that aspect as the events do make sense, however, just not all interesting. Being less compelled to watch the series for Nike and Livius try to develop their relationship in the face of bitter childhood friends and spiteful politicians, it was the worldbuilding that initial captivated me. Not particularly all that meaningful or even fleshed out well, the fantasy bits did manage to hold my attention and keep me watching through the entire duration. Sadly, as much as I like how the fantasy element was implemented, the series really does falter and flounder when it comes to the writing, especially how it chooses to manage the tone. Like all shoujou works that usually switches between drama, romance, and comedy, The World Is Still Beautiful awkwardly tries to play those avenues, but can’t seem to get it right and when it does, things feel out of place. For example: in one episode when events begin to take a turn for the dramatic near the end due to Livius insecure character, the following one opens on a comical bent and treats the former like it never happened. Even though the story arc does tie up appropriately, I just find it baffling and frustrating that the show has to play the jester card ever time the drama seems to be going south and even it doesn’t, just pops in comedic relief when it really isn’t necessary. Speaking of jesters, it is only by pure coincidence that Pierrot happens to be the animation studio in charge and do pretty well for themselves on that front. Airing in the same year as titles like: Sabagebu, Tokyo Ghoul, and Akatsuki no Yona – ones that are also more action-oriented and heavy on visual flair, The World Is Still Beautiful holds its own remarkably well by comparison and benefits greatly from the artstyle it chooses to go with. The character designs are little on the bland side, but do like that they are far removed from the classic and overtly rout style most shoujou works go for. With Sentai Filmworks handling the home release, it is slightly disappointing that there is no English dub, yet Japanese voice actors do an excellent job and a pretty easy to follow story that really doesn’t call for it. 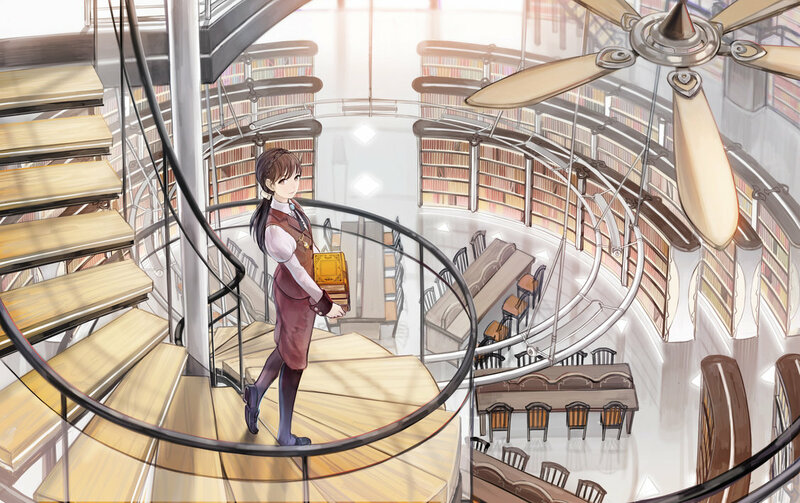 For those familiar with Chihayafuru or any other scores that Kousuke Yamashita has done, the music has a very genteel and floating quality to it making fit very naturally made for the series. Granted that the tracks aren’t as emotionally effective or impressive as Chihayafuru they still do a great job of bring out the mood that each scene calls for and just very pleasant to hear. Even with the individual issues I had with The World Is Still Beautiful, as whole, I can be proud enough to say that it was thoroughly enjoying. I wouldn’t be willing to recommend it or even call it a nice entry for the genre, nonetheless, glad to have it off my queue and not in a spiteful way. For those that enjoy the lighthearted and sentimental side of romantic works with some lively leading personalities, The World Is Still Beautiful might work for you, yet don’t set the bar too high for another ordinary experience. Pros: Nice character designs and animation quality, fascinating fantasy adornment, solid female leading character, interesting dynamics to the romantic formula. 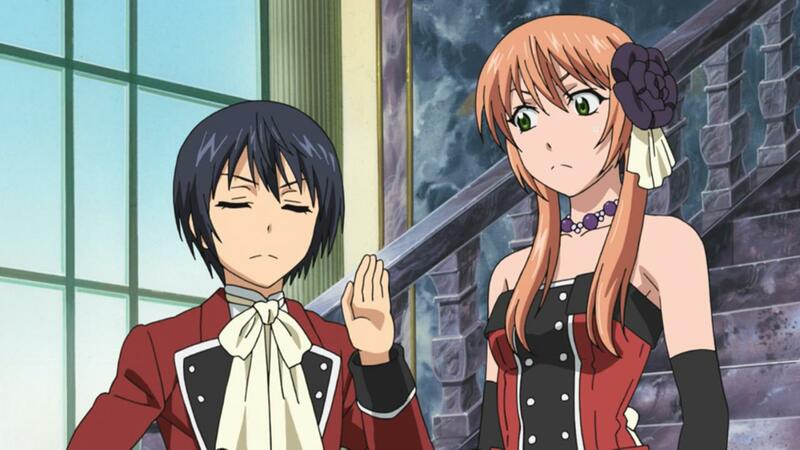 Cons: Humor and drama aren’t balanced or play well together, a few characterization gaffs for Livius. I felt more or less the same; I enjoyed it while watching but it’s not a recommendation i’d give out. Yeah, almost forgot how much they use the song, but still liked it nonetheless. The art style looks more Harem than Shoujo. That’s weird. Your description makes it sound like something I need, something sentimental and warm but it’s disappointing to hear the direction is messy. The characters also don’t sound very interesting. Don’t we have enough ‘spunky’ girls and cold guys? My apologies if I made more tantalizing than it is. As aforementioned, it has it’s moments of brilliance, but in the end, the rest of the elements involved just don’t work off each other all that well plus the characters. Hence the might work line. Only reason why did stick around was for Nike and her personality, so that made the experience nearly worth it, yet probably not for others tried of the spirited lead. I can imagine the outcry if the age of the leading characters was reversed. I don’t see it as much of a problem either way and can probably point to a dozen other series in reverse. Besides, not sure how many people had on their radar…so again, not much of an issue.